A square piano case advertised by George Kidner Auctioneers & Valuers of Lymington, Hampshire for sale by auction in March 2017 bears a striking resemblance to the exterior of extant instruments with additional keys made by the house of Southwell in Dublin in the second half of the 1790s. Sadly nothing now remains of the piano forte action in this conversion. Only the nameboard survives, which clearly shows the makers name as 'Byrne' and with one of the two fretwork 'sonovents' still intact. It appears likely that this instrument was copied from Southwell's 'pianoforte with additional keys', (patented in London in 1794). 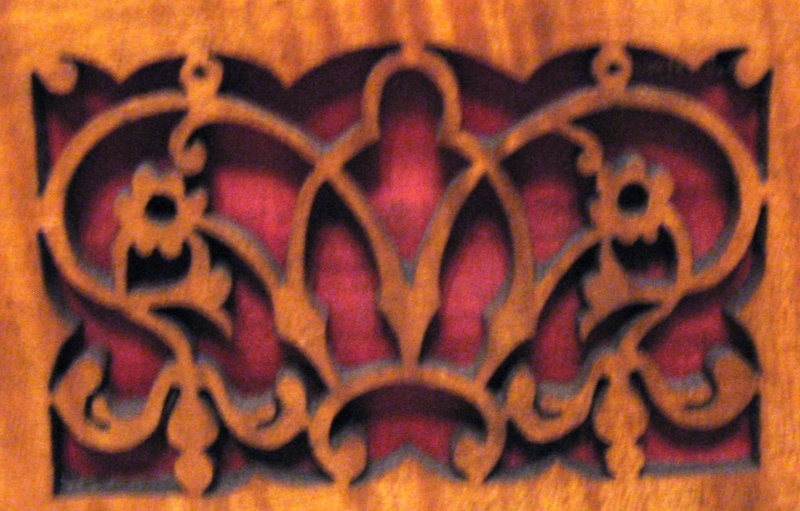 However, as may be noted in the above image, the design of the fretwork sonovent is different from that seen on extant Southwell instruments and the decoration on the nameboard is somewhat simpler in style. More detailed information about these finding is presented in the timeline below. Byrne himself placed two advertisements in this year that not only provide information on his address at that time but confirm that he was indeed making Piano Fortes with additional keys. An extract is given below. In 1807 J. Byrne placed an advertisement announcing his change of address, which suggests that by this time his business was growing and attracting a wider clientele. PIANO FORTES/ Whereas, it has been discovered that some/obscure Persons in Dublin, have lately made Piano/ fortes, and put upon them the names of respectable Houses in/ London, as if manufactured by them. And whereas several auctioneers and others have been in the/habit of selling these spurious Instruments, thereby grossly de-ceiving the Public, to the material injury of the said Houses. Notice is hereby given, that Actions at Law are commenced/ on the part of Messrs. Clementi and Company, Cheapside/ London, against M. Larkin, Grafton-street, Thomas Kelly, Clarendon-street, John Byrne, Ship-street, and Others; and/ that any person hereafter detected, making use of the Name of/ Clementi and Company upon any instruments not manufactured/ by them, will in like manner be immediately proceeded against. The Friends of Messrs. Clementi and Company are hereby/ respectfully apprised of this dishonest and disgraceful practice, and/ are recommended, in purchasing their istruments to apply to/ the regular and respectable Music Sellers, rather than expose/ themselves to be thus imposed upon by needy and designing men. According to I M Hogan (1966) John Byrne of Ship-street, pianoforte maker, appeared in Dublin trade directories from 1814 through to 1824. "The situation of cabin-joiner, gave me an/ opportunity of being well acquainted with many/ of the transactions that occurred in her Royal/ Highness's cabin. It was part of my duty to en-/ter the cabin in which she slept, at an early hour/ in the morning, to raise the blinds, and also at/ night to lower them. At any of these early/ hours that I so entered, I never saw M. Ber-/ gami; but in subsequent parts of the mornings, I/ have frequently seen him there engaged generally/ in writing for her Royal Highness. "Her Royal Highness's demeanour towards all/ those persons whose duty brought them near her/ person, was most condescending; on several oc-/casions she called me familiarly "her son", as she/ did several others, when she required them to per-/ form any trifling service for her. I was the per-/ son who made the alterations in the cabins, which/ she desired at her first coming on board, and I/ was the person who found and returned an ele/ -gant seal belonging to her, which was lost in/ the cabin, which her Majesty will not fail to re-/ collect, should any circumstances remind her of it. There is an entry John Byrne, piano, at 15 Great Ship-street, Dublin in Piggotts Directory, 1824, the last mention of him located by the author. His date of death presently remains unknown.